Mochiko chicken is a lot like your standard fried chicken but, rather than being made with regular flour, it's made with mochiko flour. 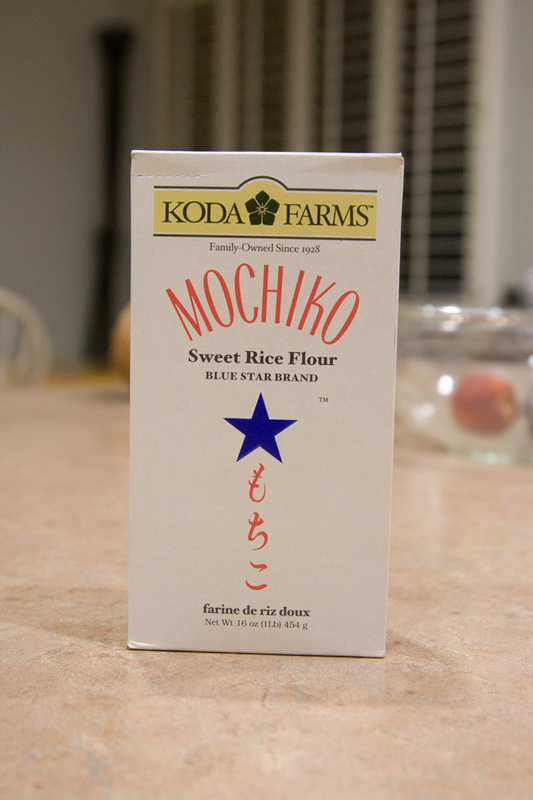 If you've never heard of mochiko before, it's best defined as "glutinous rice flour." And if that doesn't make you think YUM! then I don't know what will. Mochiko is something you run across with some regularity in Japanese cooking but my favorite ways to eat it are either in this chicken or in mochi ice cream (which you can find at any Trader Joe's on the mainland and is totally worth trying). 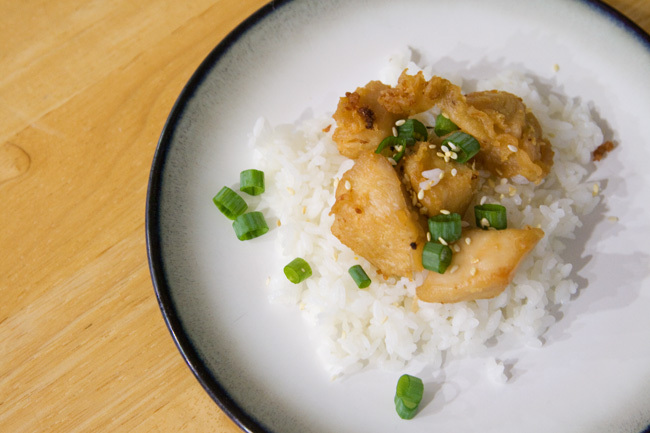 This chicken has such great flavor and it makes a TON, which is awesome for next-day leftovers! Cut up chicken into serving size pieces and set aside. In a large container, combine all ingredients except the chicken and mix well. Add the chicken and stir until all pieces are coated. Cover and let set in the batter overnight in the refrigerator. The following morning, stir the batter and put it back in the refrigerator until you are ready to cook. Ten minutes prior to cooking, take the container out of the refrigerator. Fill a wok or frying pan with enough oil to cover the chicken pieces and heat. Test the hotness of the oil by dropping in some batter. If the oil is hot enough the batter will begin to cook on contact. Deep fry the Mochiko batter chicken until golden brown. Let the cooked chicken drain on wire rack over some paper towels or newspaper then serve. The noodle place across the street from us makes this kind of fried chicken and it is the best thing ever!!! It comes with the kids noodles and I always steal pieces from them. I always wondered what made it so much better than regular fried chicken.